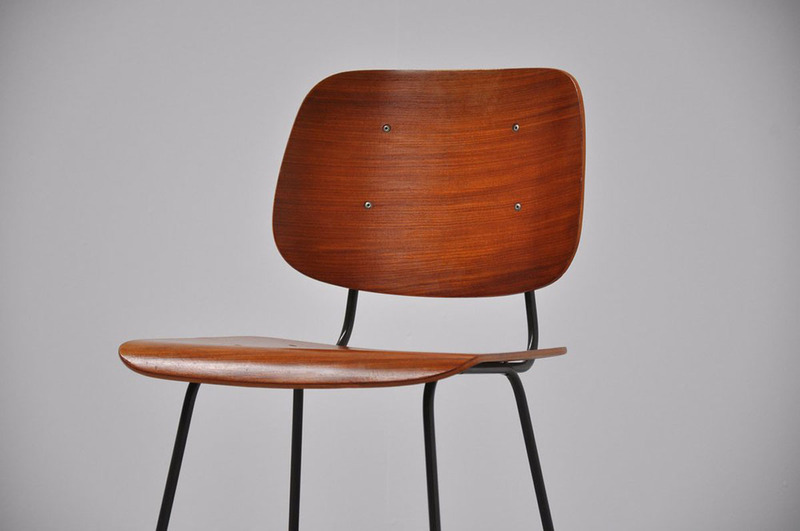 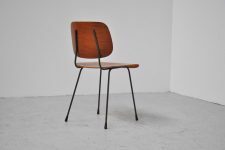 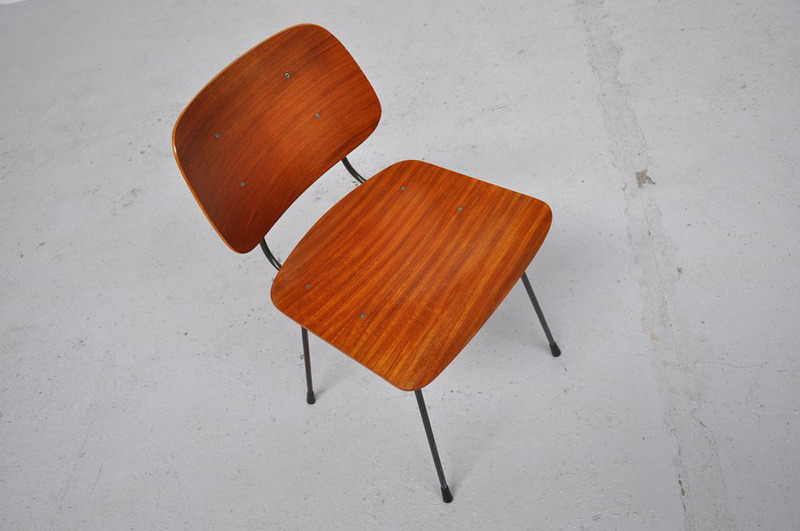 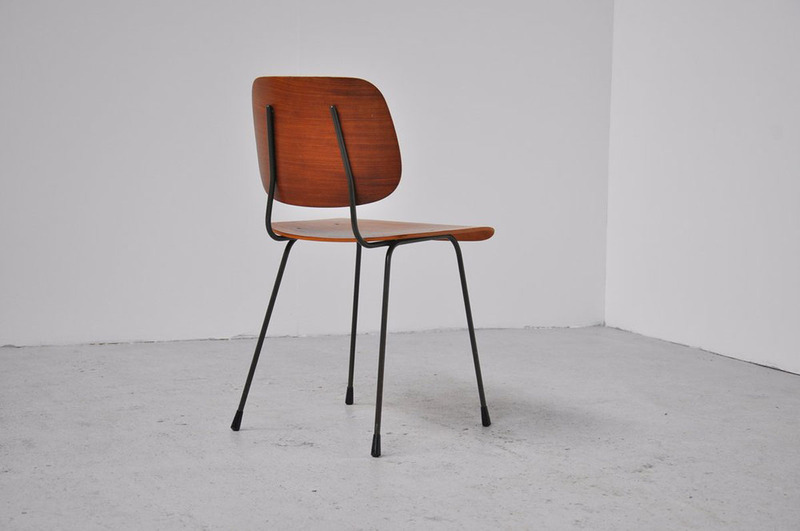 Here for a hard to find side or desk chair designed by Tjerk Reijenga for Pilastro, Zwanenburg 1962. 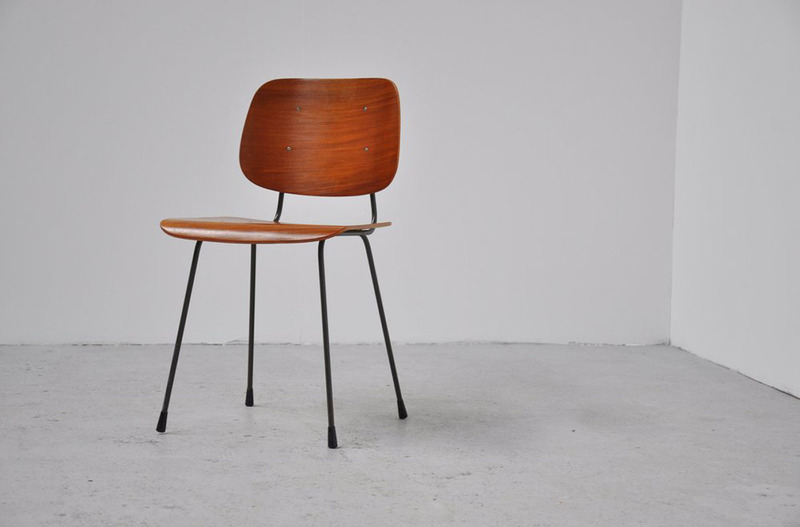 This chair is model number 7004. 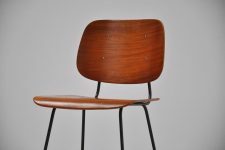 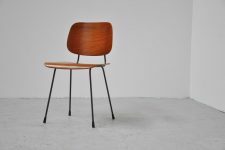 The chair was made of dark grey lacquered metal frame and a very nice teak plywood seat and back. This chair is in very good original condition.